Game Review: Crimzon Clover: World Ignition - She's Lost Control! 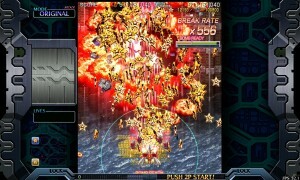 Crimzon Clover: World Ignition is a vertical shooter developed by Japanese indie developer Yotsubane. 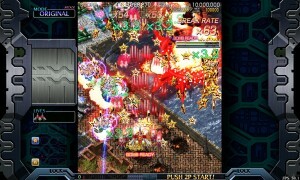 Crimzon Clover is best described as a “manic shooter,” a game in the style of Touhou or Ikaruga. These kinds of game are very demanding, requiring precision movements from the player in order to weave through dense bullet patterns. 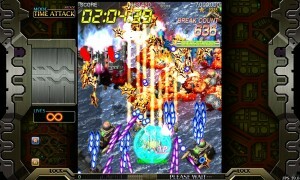 To give the player a fair chance at success, these kinds of game often include mechanics such as a screen-clearing bomb and a hitbox much smaller than the player sprite, often among other gimmicks and mechanics. Crimzon Clover is the kind of game that looks a lot more daunting than it is. At first glance, it looks like a lot to take in: The swarms of enemies on the screen, the endless volley of bullets from the player’s ship, the bullet patterns thrown by enemy ships, and the stream of stars flowing toward the player appear daunting, perhaps requiring the kind of eye-darting splitting of attention necessary to read the HUD in a game like MechWarrior 2. It’s all very manageable, however. Everything contrasts very well against everything else. 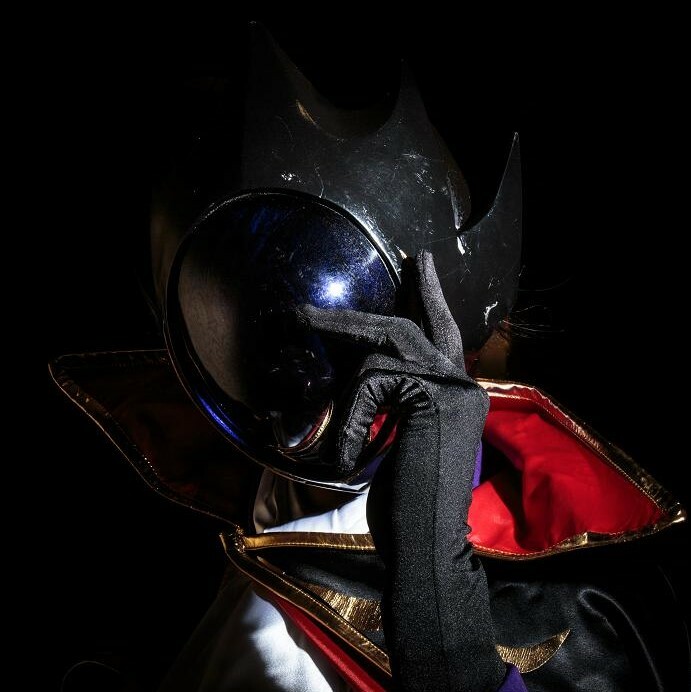 Enemies look distinct from their bullets, which look distinct from the player’s bullets. The result is an excitingly vibrant, colorful game full of space fighters, big explosions, and bullets everywhere. Manic shooters are notorious for their difficulty, and Crimzon Clover is no exception. It does, however, have a multitude of features that not only can attract new players, but also give experienced players something new to play with. 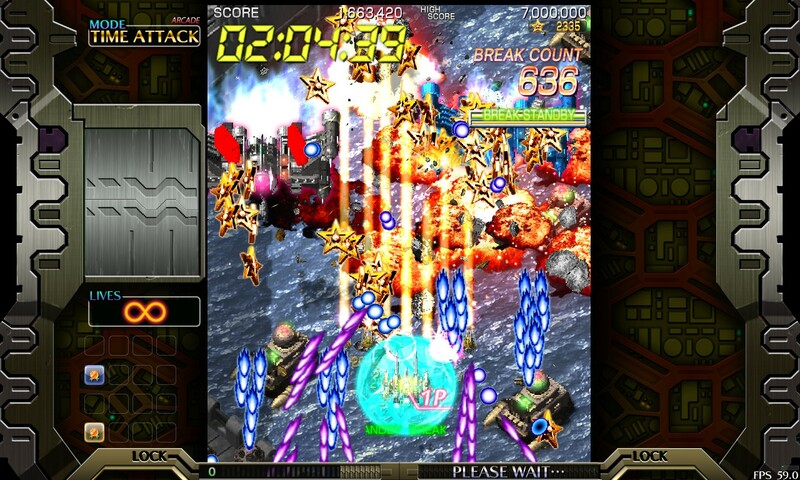 The screen-clearing bomb, a staple of manic shooters, is executed differently in Crimzon Clover. Normally, the player is given a limited number of “bomb” weapons which, when deployed, destroy all enemies and (Perhaps more importantly) bullets on-screen. These are usually used to get the player out of a sticky situation, giving him or her a second chance without burning a life. Crimzon Clover’s bomb serves the same purpose, but is instead granted to the player after destroying a certain amount of enemies. 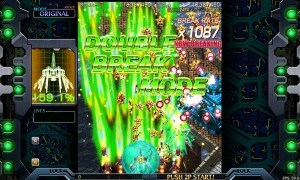 In addition, continuing to destroy enemies without using a bomb grants access to “Break Mode,” which increases the player’s firepower. 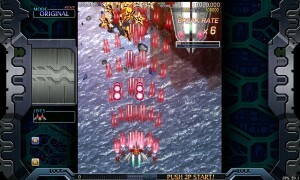 The game is also designed so the player can focus more on dodging than actually aiming at enemies. 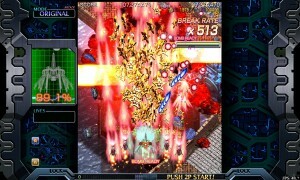 The player’s bullet spread covers much of the screen by default, and a wide-area homing laser can be used to cut down enemies outside that spread. 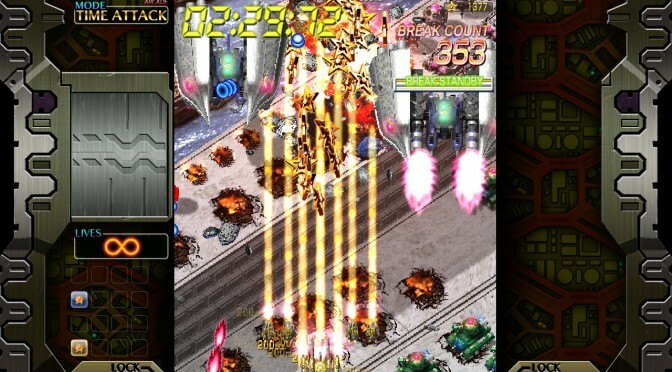 As expected of any good shmup, the controls are tight and responsive. It even controls well with a keyboard, which I wasn’t expecting. This is the kind of game that not only looks and sounds great, but feels great to play. 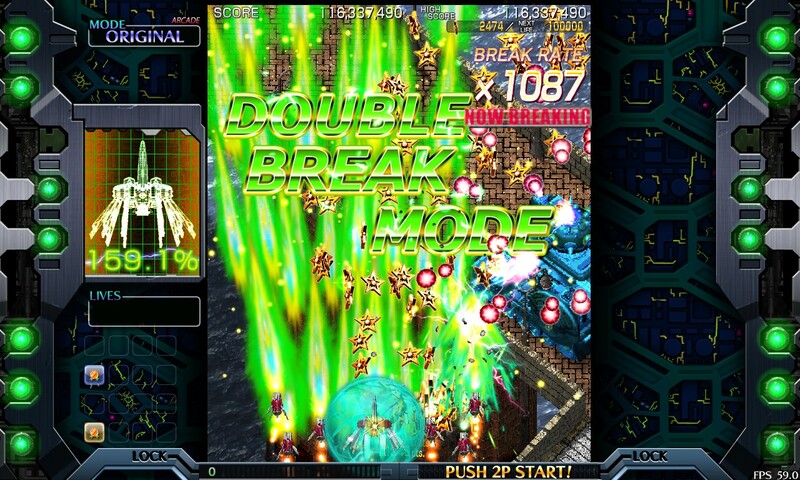 The game’s audio, visual, and tactile feedback: The pumping music, the screen shaking with each big explosion, the oversized, bright-colored bullets of DOUBLE-BREAK MODE, all come together to make an extremely satisfying game. Games like Crimzon Clover really showcase the potential of indie games, especially Japanese indie games. Mix in a couple alternate game modes, and you get a game with lots of longevity and replayability. I especially like Boost Mode, which dynamically adjusts the game’s difficulty to the player’s performance. 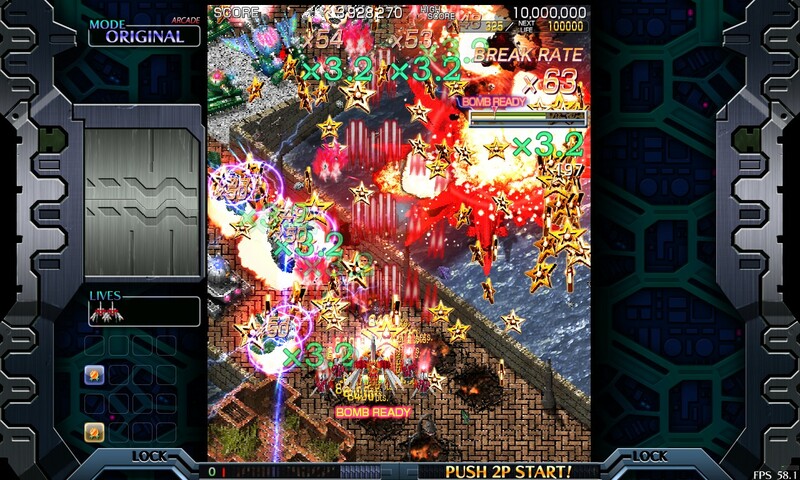 If you like shmups, especially manic shooters, you really owe it to yourself to give Crimzon Clover a try. 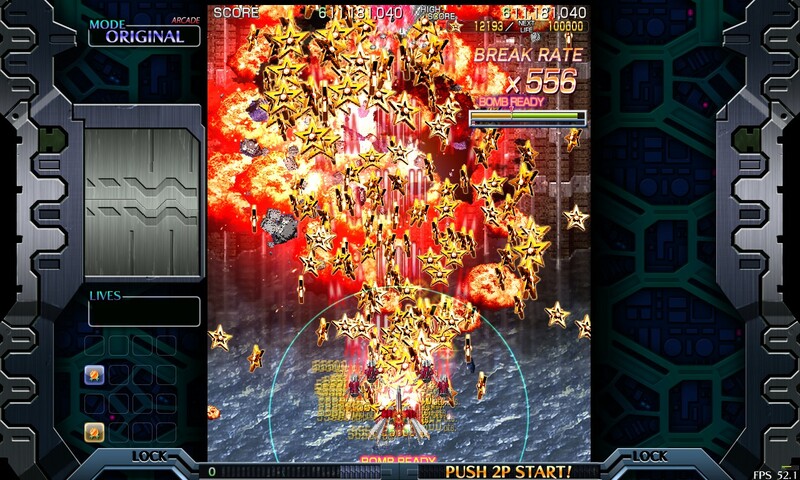 Additionally, if you want to get into shmups, but don’t know where to start, Crimzon Clover is definitely worth trying out. Crimzon Clover: World Ignition is available on Steam. 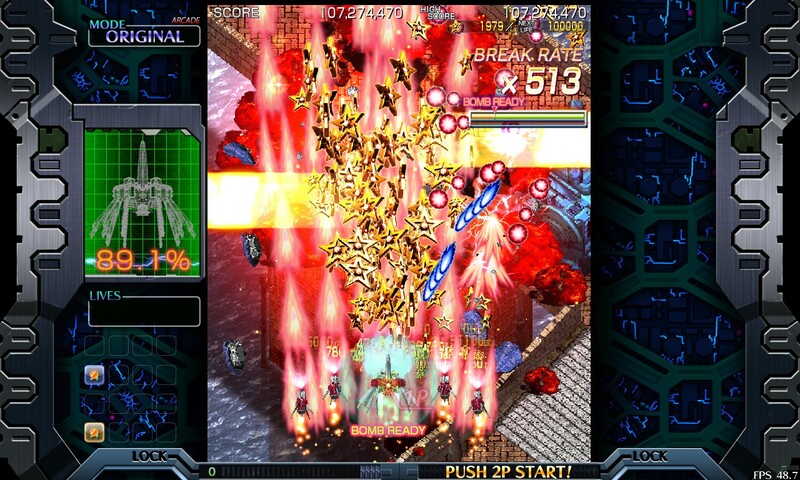 If you want to try an older (and possibly easier) vertical shmup, I recommend Truxton and the original Raiden.